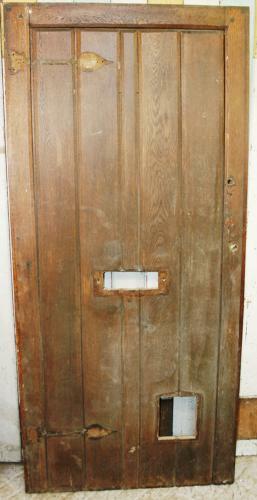 A hand-made oak front door with 1 inch thick planks to the face and applied side rails. The ledges run the full width of the door giving maximum strength. There is a hole cut for a cat flap which slightly damages the base rail.